Our Champagnes get lots of snuggles! Brick House Acres is a family-run homestead & berry farm located in central New York. 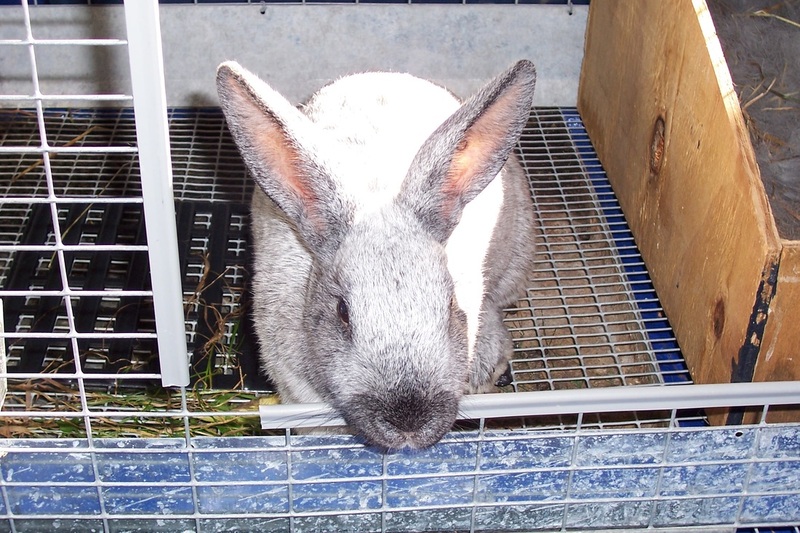 We raise Champagne d'Argent rabbits for pets, meat, fur, manure, and show. We feel it is important for our children to know where their food comes from. As such, we have taught them to garden, sew, can, bake, compost, and raise chickens. 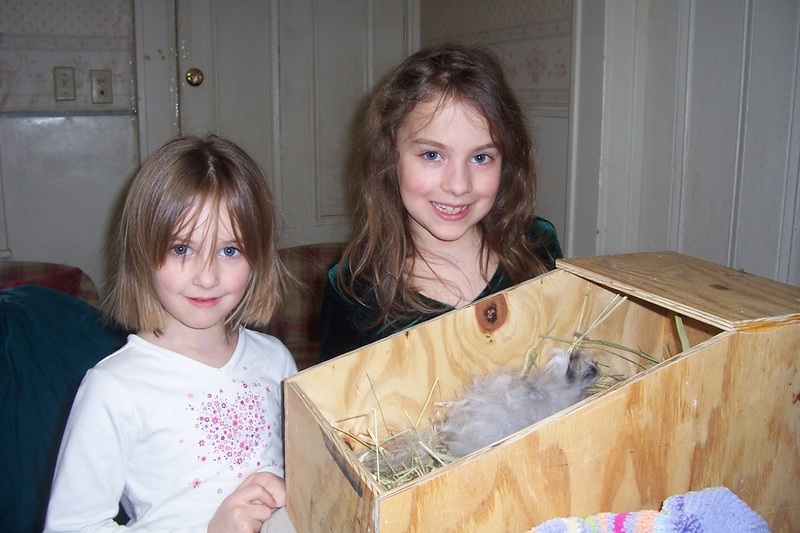 In 2012, our older children got involved in 4-H. We raised and showed some pet bunnies. The kids enjoyed it so much, that we decided to start raising meat rabbits to feed our large family. Before buying breeding stock, I wanted to be sure I could process a rabbit and that the family liked the taste of rabbit. In 2014, I purchased a live fryer from a local breeder and dressed it myself (with a little moral support from a friend). I let the cleaned rabbit rest in the fridge for 2 days, then proceeded to prepare it for dinner. All of the kids were amazed at how different, yet similar it looked to chicken. I made Hunter Rabbit. Everyone LOVED it! Since then, we have acquired quality breeding stock and are enjoying plenty of healthy meat. 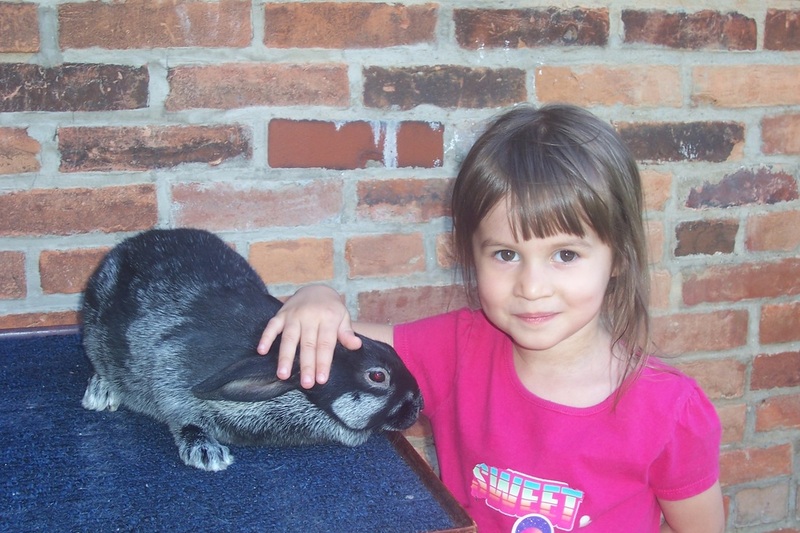 The kids help with raising, feeding, and petting the bunnies. The older children help with record-keeping, tattooing, processing, and cooking yummy rabbit dishes for dinner. Our Champagnes are a joy to own and raise. The kids make sure each bunny gets plenty of loving and their amazing manure makes our gardens flourish! Newborn Champagne kits - so precious! 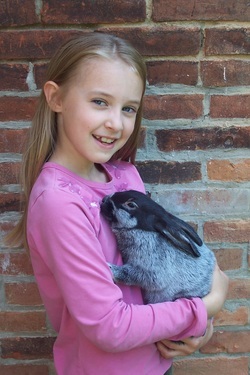 Check out our Rabbit Info and Links pages to learn more about raising rabbits for your family. Visit our For Sale page to inquire about buying a rabbit or to sign-up for litter updates.